Given the popularity of the hard boiled egg diet, and the very positive response to our extensive guide, I’ve decided to write about this topic once again. Judging by the feedback from our readers, the original version seems to be working. It is efficient, but nonetheless short and restrictive, so if you are hoping for sustained weight loss, you’ll have to look elsewhere. Health comes with balance, so I decided to create a modified version, which I believe is more suitable on the long run. 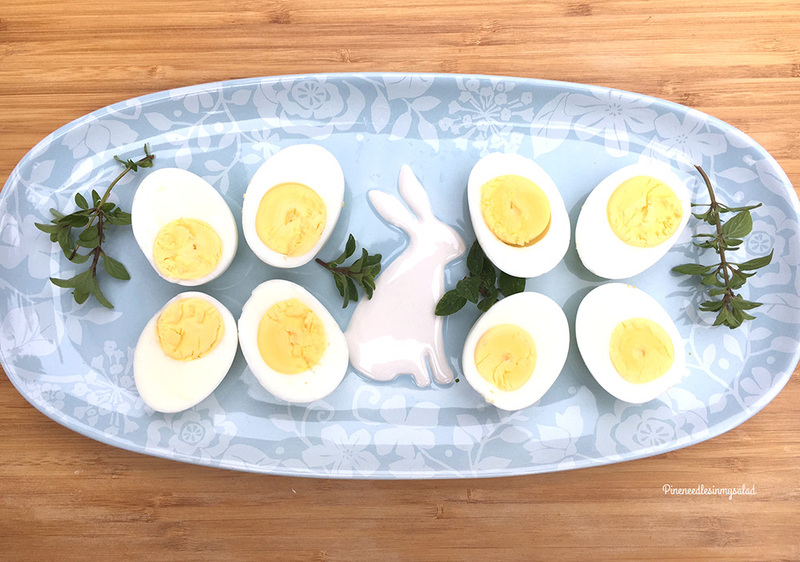 An elimination, low carb, and low calorie regimen in its core, the Hard boiled egg diet wasn’t meant to be a substitute for a healthy meal plan. It is restrictive enough on calories, so more intense exercise is out of the question, and without a gradual adapting process, both on your way in as well as your way out, you are likely to make a return to your old ways, and the same unhealthy food choices. The modified hard boiled egg diet will offer an alternative. Eggs will remain the chief protein source, but you will add more carbs and healthy fats as well. 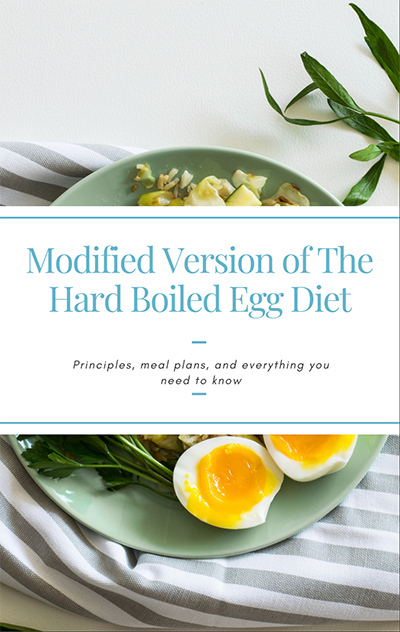 I’ll provide a detailed schedule, introducing the modified boiled egg diet in three stages, explaining my decision for each. At the end, there is a digital copy in the form a short e-book, so you can print the meal plan and have it close by for the occasional reference. Let’s dive in. How does the original hard boiled egg diet work? Before modifying the egg diet, you need to understand how it works. And although I’ve written an in-depth article on this one already, let me summarize the main takeaways. The Hard boiled egg diet is an excellent low calorie meal plan. On any given day, you’ll be eating around 700-800 calories, which is even less than it sounds. Do whatever math you like, but this is truly a very low number that puts you slightly out and above starvation mode. 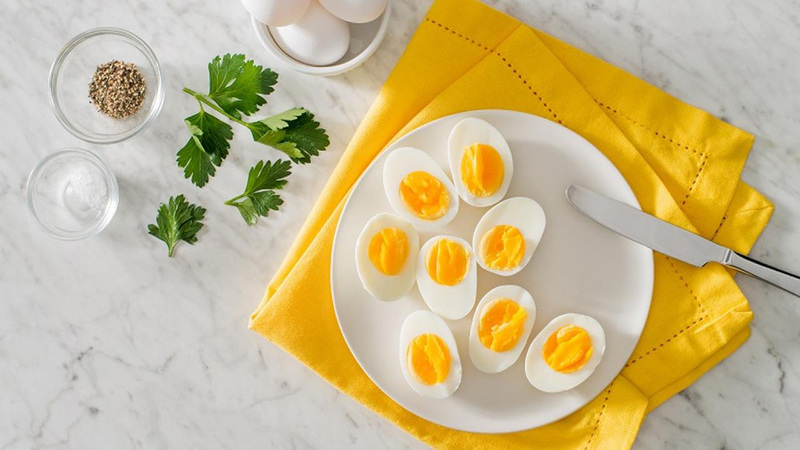 The only reason why the hard boiled egg diet is doable is because you’ll consume a lot of protein, some natural fructose, and a fairly decent amount of healthy fats. And with veggies galore, most of your vitamin and mineral requirements will be met as well. But what else is into play? One look over the original meal plan and you’ll notice a lack of carbohydrates. This is perhaps the second biggest reason why the hard boiled egg diet works. Go low carb, and you are literally forcing the body to burn through its own fat supply in order to produce energy. And finally, for all of those who are struggling to stay dedicated, the boiled egg meal plan is the most beginner friendly elimination diet. How come, I hear you asking? Well, at the surface, it eliminates all sugar rich foods, all processed carbs, and all unhealthy fats. You are left with veggies, fruits, chicken fish or turkey, and of course eggs. So why change a winning strategy, and modify at all? Getting tons of emails from people who are willing to cut corners left and right, I can say with certainty that none of us are created equal. Some want an even more restrictive meal plan and noticeable results in less than a week; while others are happy with slow progress as long as they can maintain the pace for several months on end. Add exercise fanatics into the mix, and you have a really strong reason to modify the original hard boiled egg schedule. Here is my rationale though, if you are curious. Many of the people who e-mail us, and almost all of the people who are buying Fitness Updated, say the same thing – they were dieting once, or going through an intense exercise program, only to revert to an old lifestyle again. So if you are looking for a more sustainable approach to weight loss, and one that is not going to invite a yo-yo effect, keep reading. Who will lose more weight at the end of the year? The guy who burns 15 pounds in two weeks, or the gal who sheds 1 pound every few couple of days? Besides, who will have a better quality of life, and enjoy the process? Think about it. With this in mind, let’s see what we need in order to modify the egg diet. Looking at the big picture, you only have 3 different choices, so let’s go over them one by one. This is the one I personally prefer. As you’ll see, it meets several criteria quite nicely. Stage 1 – a two week period where you’ll eat a modified version of the original hard boiled egg diet. 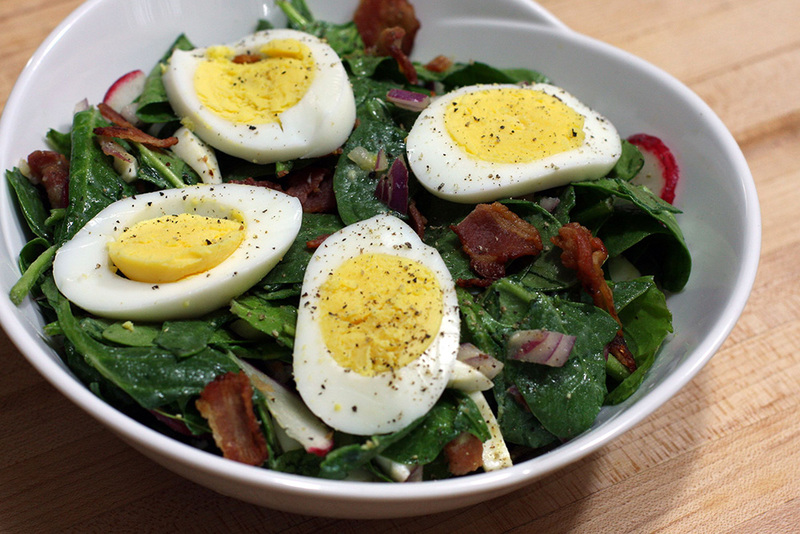 Stage 2 – seven days on the classic boiled egg meal plan, described below. Stage 3 – another two week period designed to bring you back to a healthy, balanced and sustainable weight loss plan. This one is fairly simple. It is the original egg diet, with a two week period right after, designed to bring you slowly into the realm of balanced and healthy meals. 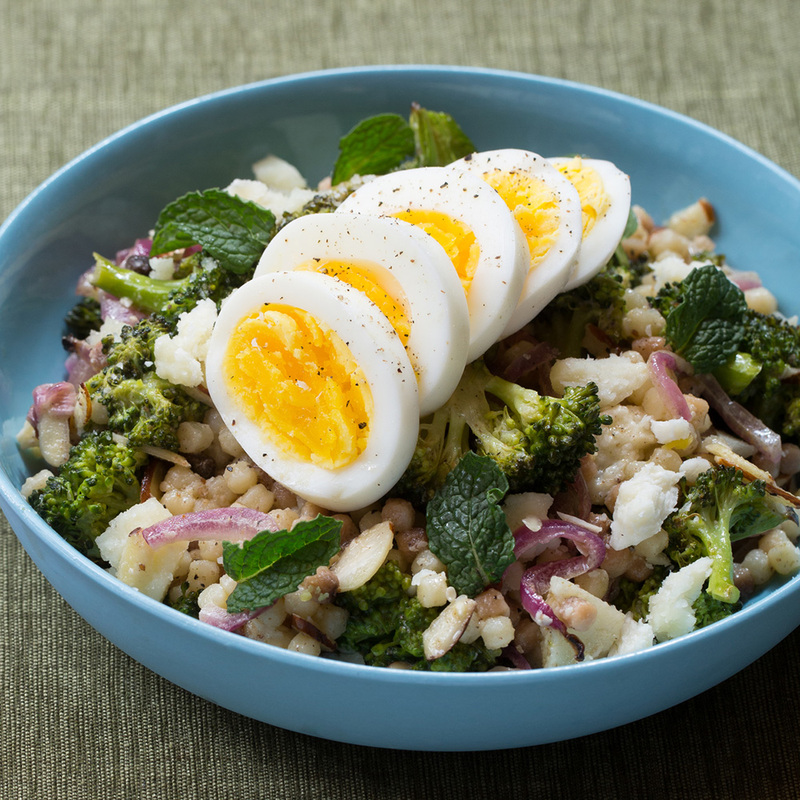 You do the hard boiled egg diet, right out of the gate, and it is as restrictive as it gets. Then, after 7 days, you slowly introduce a more sustainable approach to weight loss, and keep with it for 2 weeks. The logic goes that once your body endures the extremely low carb version, the following period will feel like a much easier pill to swallow. Then, you simply continue for as long as you can (very likely for months). Naming things is not really my strongest skill. Hard to tell, right? But there is no philosophy behind this approach. 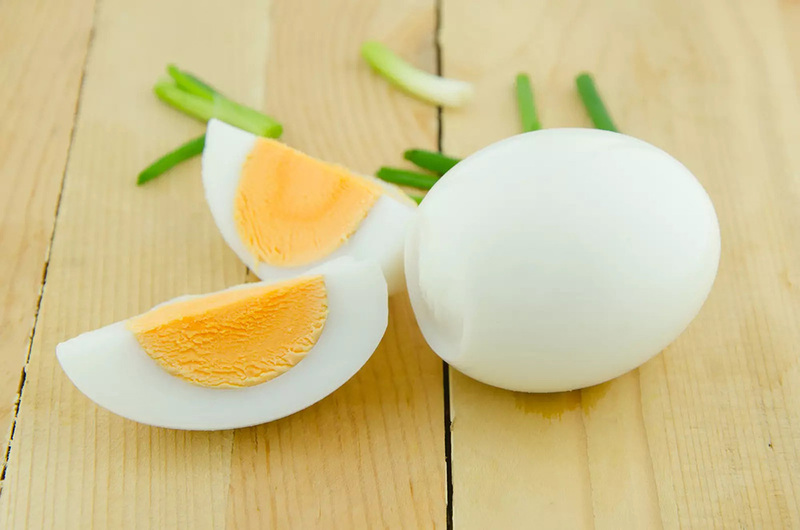 Instead of going through the original boiled egg diet at the beginning of the program, you slowly start to eliminate certain ingredients, reduce your carb intake, and then endure a 7 day hard boiled egg diet at the very end of the month. Compared to the previous option, this one is really handy when it comes to a set date, for which you need to prepare – say a wedding or a beach holiday. How to modify the hard boiled eggs diet? While I’m not going to turn this into a science, few basic principles must apply. You will have to incorporate complex carbohydrates, and preferably stick with whole grains. The list is not very exclusive, but I’d go with quinoa, buckwheat, millet grain, whole-wheat couscous, brown rice, whole oats, and bulgur. One or two are just fine, but you can make all sorts of combinations. Did you know that 17% of calories in oats come protein? When it comes to vegetables, you’ll be allowed several starchy varieties, but otherwise keep everything else the same. When it comes to fats and protein, eggs are still going to provide most of the daily intake, and you can certainly stick with chicken, turkey or fish. Needless to say, the whole grains also provide a small but not insignificant amount of protein and fat, so you’ll be getting some of it from there as well. Lentils are an excellent source of protein, with only twice as much carbs. Most nuts and seeds are OK, and in fact encouraged, so you’ll be enjoying walnuts, almonds, hazelnuts, peanuts, chia seed, sesame seed and flax seed. Olive oil can be sprinkled on top of your salad, and you can have the occasional teaspoon of peanut butter. Low fat yogurt is allowed, and you can also consider ricotta cheese, which my husband especially enjoys. It is high in protein and relatively low in fats. And since you are going to spend more weeks under this regimen, taking a daily multivitamin sounds to me just about right. The eggs, this time, depending on the model you chose to follow, and therefore the stage you’re in, can be prepared in different ways other than boiled. If you manage to cook without oil, you can scramble them, or just throw them on the grill. Before I write my concerns with the modified egg diet, I must say that I’m not a medical professional, nor in any way educated to provide nutritional advice. This page is for my own personal amusement, and the community that loves to discuss ideas here at Lifestyle Updated. My husband often makes sure to try these experiments, and I sometimes chip in as well. We also get feedback from people who went down the same road. Whatever else might be said, the comment section for most of the articles published here is just as valuable as the text I’m writing (probably way more, in some respect). That being said, make sure to consult a medical professional before trying any change to your lifestyle. Eggs can go bad – the yolk is not something that you want to put in your mouth if it has already turned bad. I’ve seen people reporting some serious trouble, so make sure to prepare the eggs right before you put them on the plate. Make sure you are not starving – one month of a lifestyle change is not a joke, so make sure that you are not feeling hungry most of the time. And this is especially true if you happen to exercise (which I strongly advice you for). When hungry, take some nuts or perhaps chew a small piece of carrot. You can eat as many veggies as you like, and you can also enjoy a teaspoon of peanut butter (don’t go overboard with it, making it a daily habit). Stay hydrated – this is achieved either through an increased intake of green leafy vegetables, or small but frequent sips of water throughout the entire day. Both can work in tandem too, if you make a habit of sweating a lot during exercise (which is to say work out properly). Be aware of IGF-1 – Insulin growth like factor 1 is one of the most important anabolic hormones in charge of growth. This, however, can be good or bad depending on context. Animal protein raises IGF-1 more than any other food. And when IGF-1 levels are too high, some forms of cancer tend to grow more rapidly – especially breast cancer and prostate cancer. There is still controversy over whether or not high IGF-1 levels actually cause cancer, but most of the available evidence I was able to find suggests that it simply makes an already developed condition worse. And considering how this diet is mandating ton of eggs, chicken, and maybe even some cheese, I’d want to stay away from animal protein for a day or two after the program, and make a cleanse. Modify your workout program as well – if you are entering the 7 day stage of the hard boiled egg diet, it is recommended to go easy on your exercise routine. Switch to a beginner friendly yoga, or some light Pilates exercises that take no more than 20 minutes out of your day. Or, you can start walking around the neighborhood, and remain generally active for a week. Copying is the best form of flattering, but this time I’m not particularly eager to see this meal plan shared all around the internet. Not because I’m against sharing my own writing, but because there are many things in this article that when left out can create a serious confusion, hindering progress for so many people. The trick is in the details, so I’m only comfortable sharing the meal plan with you guys, since you took the effort of reading through till the very end. That being said, there is a nicely illustrated book waiting for you on the other side of the form below. Just leave your name and e-mail, and we’ll be sending you a copy right away. 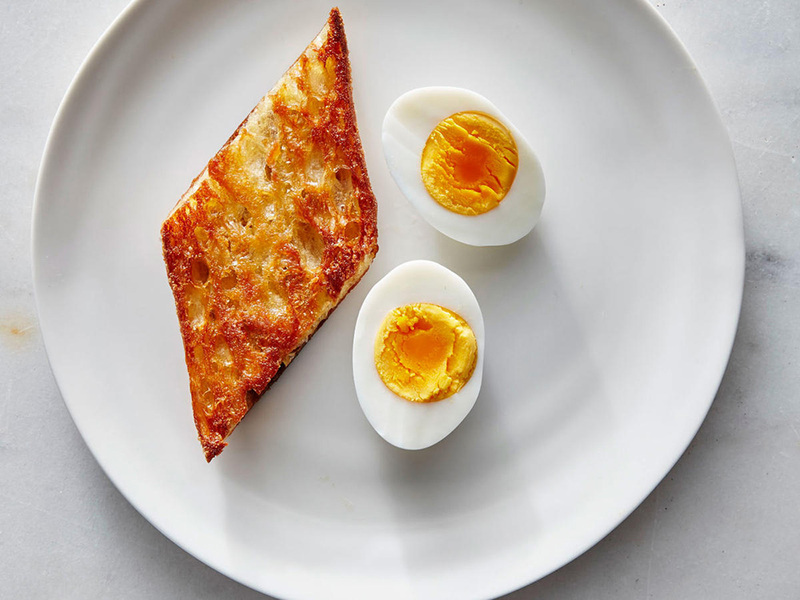 It is a print-friendly version of this same article, along with 3 separate plans meal plans for every modified version of the hard boiled egg diet. Now go ahead and break some eggs! Wife to Slavko Desik, contributing author, and lazy cat on duty. With a BA in psychology and well on my way to become a specialized therapist, my writings are on personal development and lifestyle design. As nutrition aficionado, my other job at Lifestyle Updated is to balance the scales and provide weight loss alternatives to the fitness craziness propagated by my husband.